Mrs. Lorraine J. Garland, age 67, passed away unexpectedly Thursday, August 30, 2018 at the University of Vermont Medical Center. She was born in Pittsfield, MA, December 23, 1950, daughter of the late Donald and Isabel (Larche) Boutin. On November 21, 1970, she married Michael Garland. Lorraine worked in many different capacities in her life, to include a computer programmer for business software, and as an elementary school teacher. Her enjoyments included going to flea markets, garage sales, making jewelry, traveling, and most important to her was spending time with her grandchildren and her puppy Gypsy. 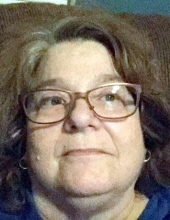 Lorraine is survived by children, Dana Wesson and husband Scott Wesson of Waterville, and Regan Perry of Fairfax, 5 grandchildren and 5 great-grandchildren, her brothers Kenneth Boutin and wife Melanie of Georgia; John Boutin and wife Marivic of Virginia Beach, VA; Neal Boutin and wife Cathy of Merritt Island, FL; Alan Boutin of Fairfax; her sisters Joan Sparks and husband Robert of Fairfax; Pauline Boutin of St Albans; Pamela Vecchitto and husband Bill of Lakewood, WA; Patricia Merritt and husband Wade of Fairfax; and Mary Combs and husband Orval of Fairfax. She also leaves her brother-in-law Brian Garland and his wife Beth of Georgia, and sister-in-law Sandra Cimorelli of Hoosick Falls, NY. She was predeceased by her parents, her husband Michael Garland, her brother Robert Boutin, her son-in-law Robbie Perry, her brother-in-law John Garland, and her sister-in-law Susan (Garland) Raine. To plant a tree in memory of Lorraine J Garland, please visit our Tribute Store. "Email Address" would like to share the life celebration of Lorraine J Garland. Click on the "link" to go to share a favorite memory or leave a condolence message for the family.